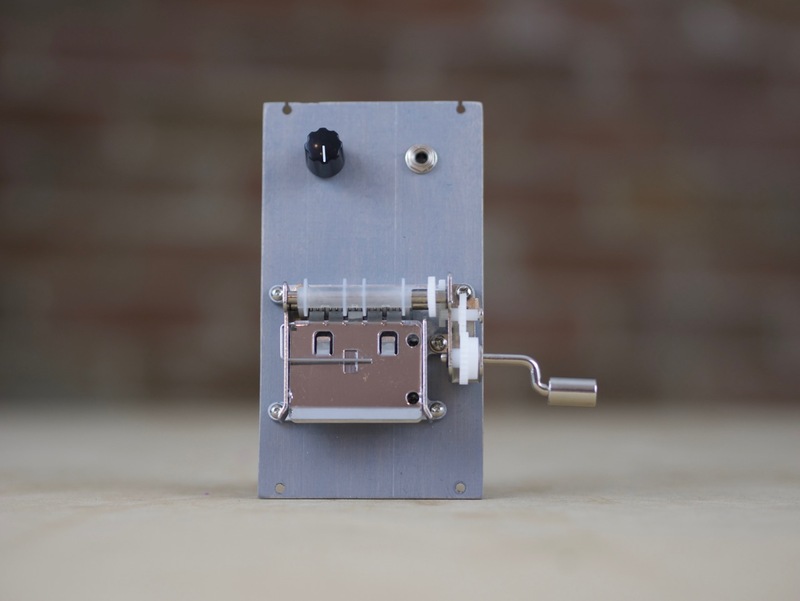 Amplified paper strip based music box. Spruce panel died grey. Piezo pickup. Music Box module with delay lines and processing.